Albufeira is one of the most vibrant resorts towns on the Algarve coastline, located about a 30 minute drive from Faro airport. This old fishing village turned into a popular holiday destination in the 1960s, thanks to its wide range of beaches and the warm climate. More than 40,000 people live in the city of Albufeira, a number that increases exponentially during the Summer months with the annual wave of tourists. Much like other regions in the Algarve, Albufeira was also occupied by the Arabs. 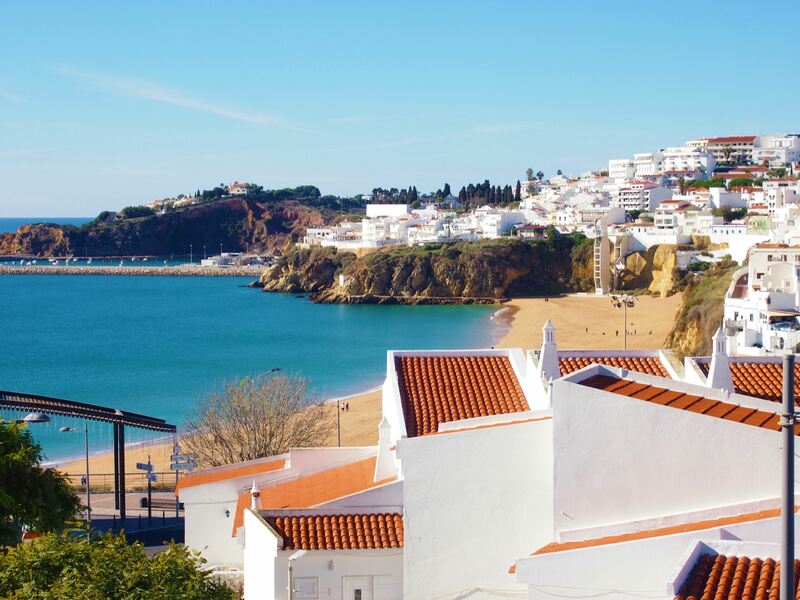 In fact, the name Albufeira comes from the Arab word “Al-buhera”, meaning castle of the sea, a reference to the city’s location on the Portuguese coast. The best sights in Albufeira are the marina, the Old Town, the Strip and, of course, the sandy beaches. 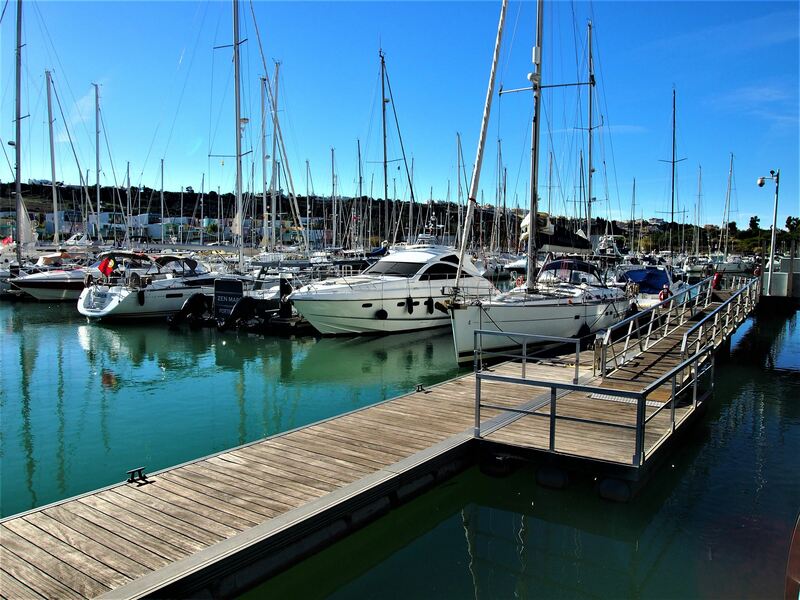 Surrounded by stunning multi-coloured buildings, the marina of Albufeira is the official meeting point for boat trips in the area, which include dolphin-watching and sea cave tours. Facing the marina, there is the Old Town, with its narrow streets, white pale buildings and traditional cobblestone pavement. Here you can find a variety of restaurants, cafés and shops selling souvenirs and beachwear. In the Summer, the Old Town gets even busier with live performances taking over the streets. Praia dos Pescadores beach and the whitewashed houses of the Old Town, Albufeira. The Strip is Albufeira’s party hub. Located on Avenida Sá Carneiro, this 2km stretch is packed with a series of bars and clubs that are constantly busy during the high season. The area is known to the Portuguese as Areias de São João. It's located to the east of Albufeira, about 1-2km from the centre, and is a perfect location for stag and hen do's. 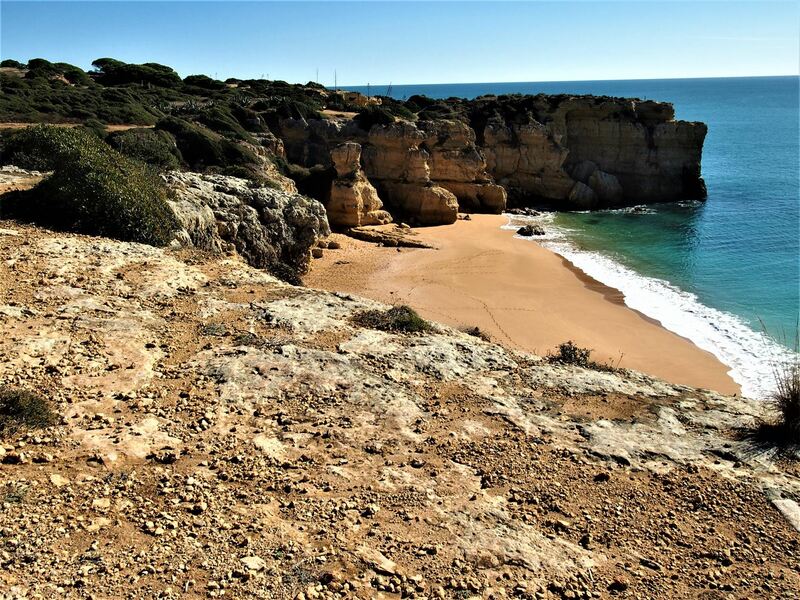 There are over a dozen beaches in Albufeira, each with its own appeal and all with golden sands. The closest beaches to the centre are Praia dos Pescadores (known as the Fisherman's Beach) and Praia do Túnel, which can be easily accessed by an escalator that leads to the waterfront. 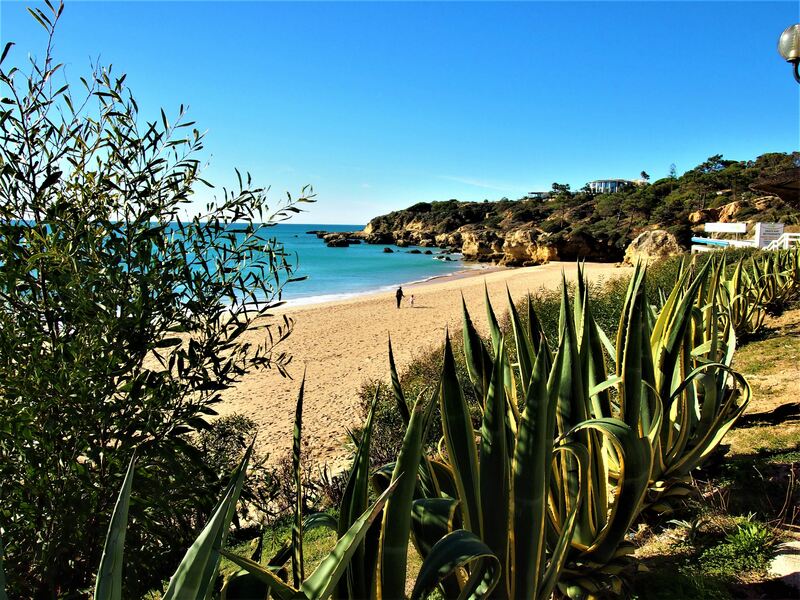 If you’re looking to escape the crowds, however, you can drive a bit further away and visit Albufeira’s more secluded beaches, Praia São Rafael, Praia da Falésia or even Praia da Coelha. Albufeira lies on the Atlantic coast. Albufeira provides several family entertainment options, including two big theme parks, Parque Aventura and Zoomarine. Parque Aventura is an adventure park featuring rope bridges and zip lines, while Zoomarine is a water park with dolphin stunt shows, swimming pools and an aquarium, situated about 10km west. Maybe surprisingly there are no water parks in Albufeira. There are three located within 30km, but our favourite is Aquashow, which is located 15-20km east. The city is also home to the Algarve Shopping, a large shopping centre set near the town of Guia with more than 100 shops, a food court and a cinema. Praia do Oura beach, Albufeira, just a short walk from The Strip. There are three golf courses located nearby; Pine Cliffs in Olhos de Agua, Salgados in Guia, and Balaia which is close to the centre. The first two have great views of the Atlantic. All three courses have 18 holes. Bullfighting is certainly controversial, but it is still legal in Portugal. A bullring is located near the centre and the season runs from May to October, with shows approximately once per week. Public transport in Albufeira is not ideal. The train station is located near Ferreiras which is about 7km from the centre, and the bus terminal is about 1.5km north of the centre. If you want to escape Albufeira and head into the countryside, Paderne Castle is worth visiting, possibly on a guided tour. It lies within the Albufeira municipality, about 12 km north. The castle was built in the 12th Century. Before setting off it's worth checking that it's open as it has recently been closed for renovations. Throughout the year, Albufeira hosts a variety of events, whether it’s Summer festivals, a carnival parade or New Year’s Eve where there are always fireworks, there is always something happening in the city. The most popular celebrations in Albufeira are the Festa da Nossa Senhora da Orada on the 14th of August, an homage to the fishermen’s patron saint, and Festa do Pescador, which is held on the first weekend of September and celebrates the city’s fishing tradition, occupying the streets with food stalls and live entertainment. Explore this region by following our Albufeira 2 day tour. Also read about Albufeira beaches and Paderne. Take a look at our vacation properties in Olhos de Agua and close to The Strip.